momstown is focused on MY SENSES this month, so our Junior Chefs brought in their favorite fruits and vegetables. We were able to see, smell, touch, and taste them. 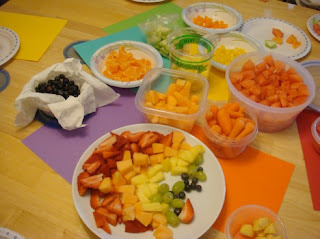 The fruits and vegetables were discussed by color starting with red then orange, yellow, green, blue, and purple. As we talked about the fruits and vegetables of a particular color, we would move those fruits/veggies to the corresponding color construction paper. Once we made our way through the purple fruits and veggies, it was time for tasting. Each child (with help from mom) sampled every fruit and vegetable on the table. 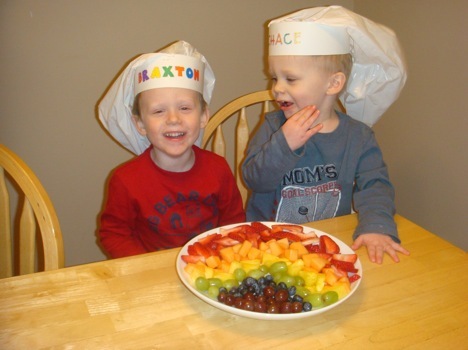 Braxton and Chace, two of our Junior Chefs, sampling the Rainbow Fruit Platter. 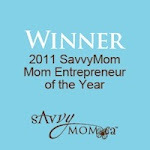 Check out last months post on how to make these adorable hats! Look at the colorful plates! 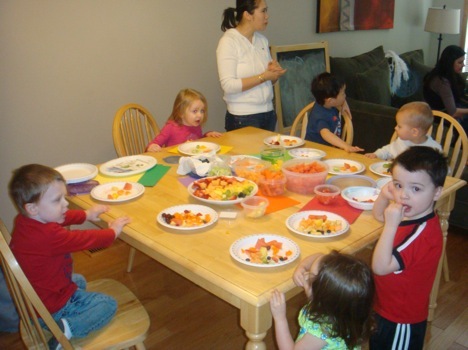 Our Junior Chefs learned the importance of eating a balanced diet full of fruits and vegetables. They give you energy to run and play! Thanks to Lisa for hosting another fun Junior Chefs!